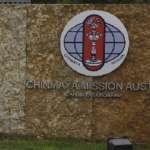 Just over fifteen years ago in April 1988, a group of visionary families started the Austin branch of Chinmaya Mission, Chinmaya Vatika with the inspiration and full support of Acharya Gaurangbhai and Acharya Darshanaben of the Houston Chinmaya Center. The core group of fifteen families that met in the homes of two dedicated members has blossomed into a large Chinmaya Parivar. With God’s Grace and Pujya Gurudev’s blessings, CM Austin was pleased to welcome Pujya Guruji to inaugurate its new center, Chinmaya Sundaram, on June 26, 2014. During his two-day visit, CM Austin was also blessed with Pujya Guruji’s enlightening three discourses on “Satyam, Shivam, Sundaram.” CM Austin started Bala Vihar classes at Chinmaya Sundaram at the end of August 2014. In addition to Yoga classes the center also offers language classes (Hindi, Sanskrit, Gujarati and Telugu). 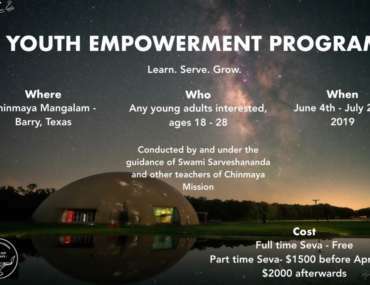 Swami Shivatmananda, formerly Brahmachari Girish Chaitanya, is the resident spiritual guide of Chinmaya Mission Austin. 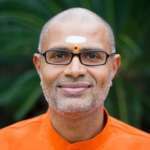 Swamiji graduated from the University of California at Davis with a degree in Electrical Engineering. Upon completing his degree he worked as an environmental chemist and as an electrical engineer for more than 10 years in Northern California. In 2002 Swamiji left for Sandeepany Sadhanalaya in Mumbai to join the 12th brahmachari batch. He studied under the guidance of Swami Tejomayananda and under the tutelage of Swami Ishwarananda. 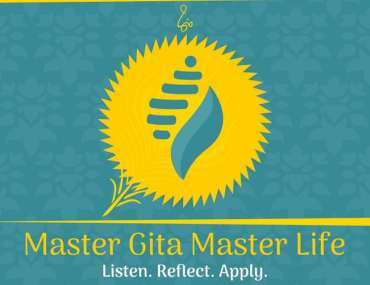 Upon completing the brahmachari course he served Chinmaya Mission Los Angeles for more than four years, after which he was asked by Guruji to serve in Austin. In February 2015 Swami Shivatmananda was initiated into sannyasa in Mumbai, India on the auspicious day of Mahashivaratri. He is fluent in Gujarati, Hindi, and English. He enjoys giving discourses on Vedanta. 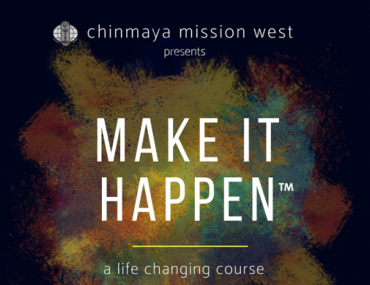 Chinmaya Mission West © 2018-2019. All rights reserved.